Four different community yoga classes tonight and tomorrow…. Monday 9:30AM, Beginner-friendly All-levels Waterfront Yoga with Barry Brooks (me) at 411 Ferry Point Private Yoga Studio. $10 cash or check. E-mail barry@annapolisyoga.me to receive an Evite you can use to hold your spot. 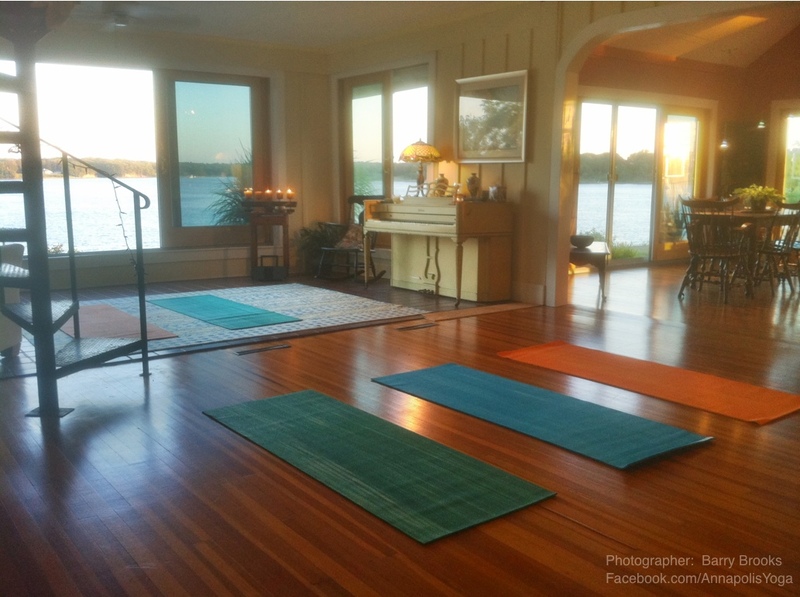 Monday 6:00PM, Donation Based Waterfront Yoga with Aimee Seal at 411 Ferry Point Private Yoga Studio. Monday 6:15PM, Metta Yoga Beginner/Community Class with Gretchen Serinis at Shakti Studio. $10 cash or check.